You might like the idea of growing your own home grown fruit and vegetables but have no idea where to start? Looking for some quick cropping crops? Or wondering which vegetables are easy to grow? Below we have selected what we like to think are the easiest crops to start with. Swift is one of the best all-rounder potato - apart from mashing! Producing a crop in with 20 weeks, harvest once the leaves have turned yellow. 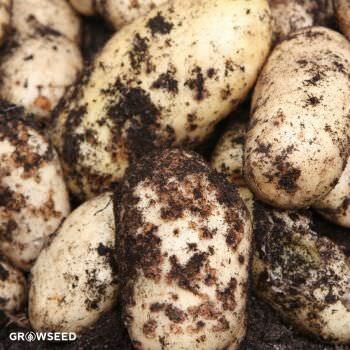 Simply pour some soil into a potato bag, add 2-3 seed potatoes and cover with soil. As green leaves being to grow, cover them up - leaving 2-3 showing and continue doing this until the potato sack is full. Very simple producing results in as little as 35 days. French Breakfast and Malaga Violet are our two favorites, simply add the seed to a bed of soil cover and water. Once some small seedlings begin to show water well and continue to water daily to encourage the crop to swell and form a nice peppery crop. Perfect for salads. Oregon Sugar Pod is a brilliant introduction to Peas! You can pick and harvest the pea pods when they are small and flat making them a perfect mangetout for harvesting or simply let them grow a little bit longer and allow super sweet peas to form inside the pod. Peas will need support as they grow some chicken wire or a string trellis will do the job. Green and Red Salad bowls make an excellent starter crop. You can start to harvest the leaves once you have 6 or more from 2inches long, pick from the sides to keep the plant producing or let the lettuce grow into a large round ball. You can away the entire lettuce ball after 40 days or keep picking away at the sides to enjoy a fresh salad every day. What garden would be the same without a runner bean? Butler produces long uniform pods, that are sweet and crunchy. Cane supports are needed or a fence to allow the beans to climb up and start to flower, once your runner beans start growing harvest them often to encourage a fresh supply. Cylindra is ready in a couple of months. 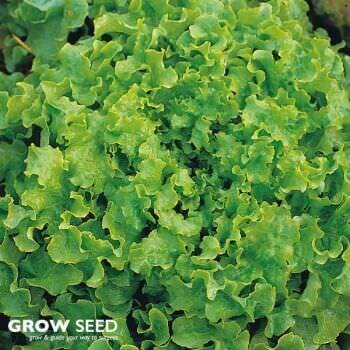 Very easy to grow much like sowing and growing Radishes add a thin layer of seeds to soil and water well. Cylindra produces a long uniform crop. Excellent for slicing and storing or enjoyed fresh with your lettuce. 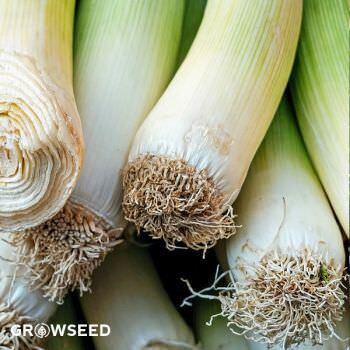 We like to grow our spring onions all year round that's why we have chosen White Lisbon, easy to grow and will grow in just about any climate and condition. Sprinkle some seeds to a pot and start to harvest once they reach pencil hight and thickness we like to enjoy them this young chopped and added to a range of dishes. 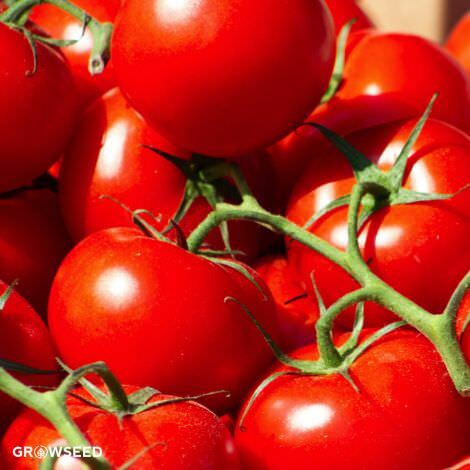 Every garden needs a fresh supply of Tomatoes Gardner's Delight and Moneymaker are two firm favorites they both produce a medium size tomato that will be sweeter than any shop bought a variety. 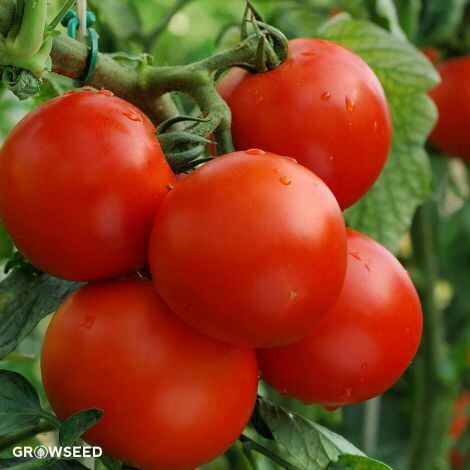 Support is needed once your tomato plant starts growing not to mention plenty of watering. Our best selling broad bean Aquadulce Claudia planted any time between September and March ready to harvest June / July produces a great size bean that is best enjoyed in a veg curry - but that's just our opinion. 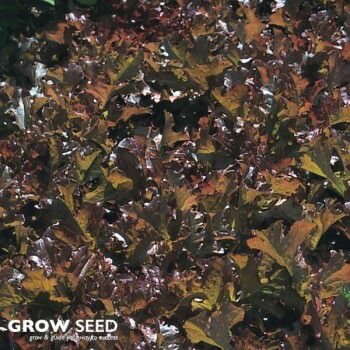 Can be grown in the ground or in a large pot. 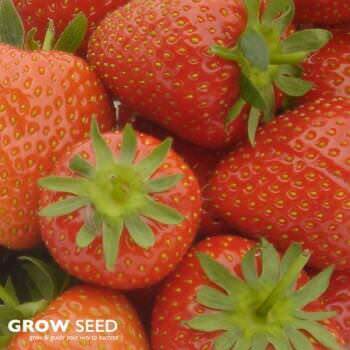 Although seeds are very hard for a beginner to start we recommend starting your strawberry patch with a handful of plants. Each plant will produce another 2 for you to add to your garden every year, year after year. Nothing beats a homegrown strawberry very simple to look after and if you have children they will love the fresh fruit. First early potato produces heavy crops of smooth white new baby potatoes.